On Saturday, October 20, 2018, the City will make its biosolids available to the public at NO COST from 8:00 a.m. to 12:00 p.m. The only limit is the size of the container you bring with you. We recommend 5 gallon buckets, plastic totes, or something similar. You may fill the bed of a truck; however, this may depend on how soon you plan to apply it. 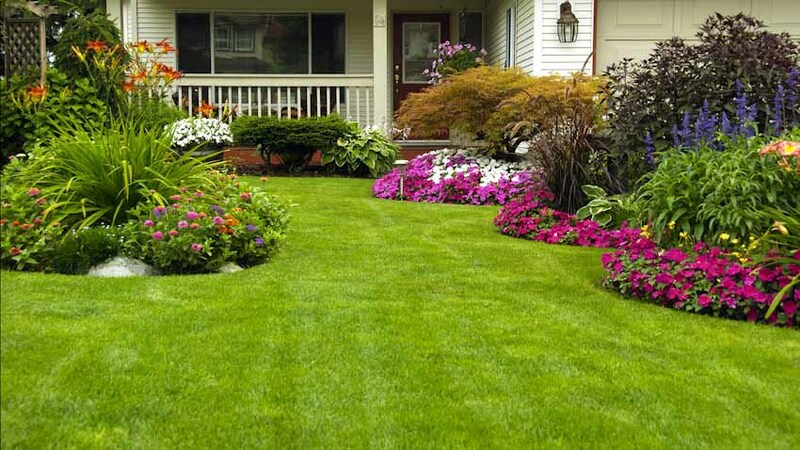 You do not want to get the product wet until after it has been spread on your lawn or garden as it may clump and become unusable. Also, there is an odor associated with this product, so you may want to have it in a sealed container. 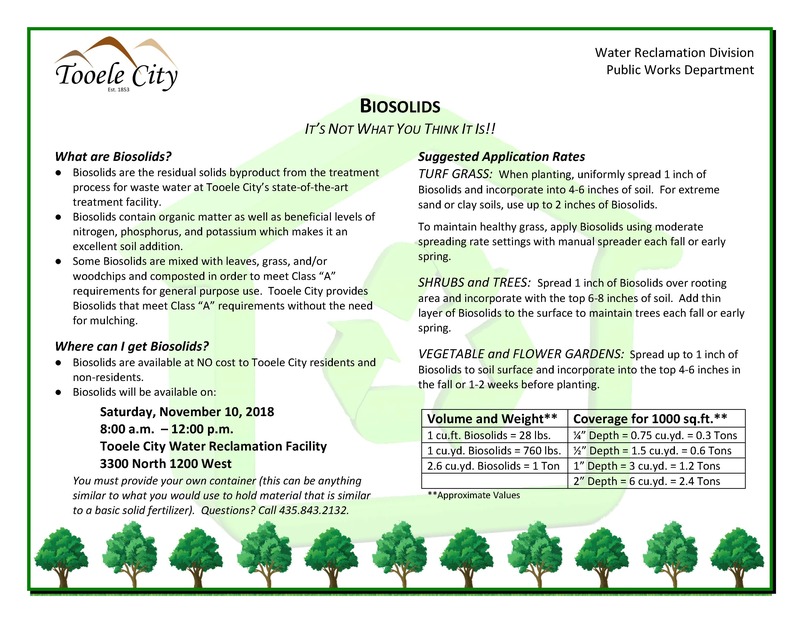 Anyone interested in getting biosolids can do so on October 20th at the Tooele City Water Reclamation Facility, 3300 North 1200 West. To get to the facility go west on Erda Way from SR-36 for approximately 2 miles, turn south on 1200 West and go approximately one mile. The Water Reclamation Facility is on the left next to the City Animal Shelter.